Despite coming within two wins of the Stanley Cup last season, the Tampa Bay Lightning seem to have slipped under the radar this season. Maybe it has to do with the Washington Capitals’ dominance of the East up until this point. 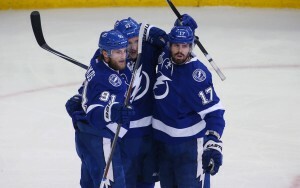 Maybe it has to do with the Lightning’s slow start to the season. Or perhaps the drama surrounding Steven Stamkos and Jonathan Drouin has made people look past what the Lightning have done on the ice this season. Make no mistake about it, the Lightning we saw last year are coming. And they should not be forgotten. The big pieces are there once again for Tampa Bay to make a deep playoff run. They’ve got the scoring, they’ve got the defense and they’ve got the goaltending to do the job. They should be one of the favorites entering the postseason. There are not many weaknesses in Tampa Bay’s game at this point in the season. They are an excellent possession team as they currently sit fourth in the East in even-strength CorsiFor%. While they aren’t lighting the lamp quite as often as last season, they are still in the top-half of the NHL in goals-per-game with 2.71. Combine that with a 2.32 goals-against-per-game and you’ve got a very tough out in the postseason. What has really been impressive about Tampa Bay this season is their ability to limit the quality opportunity from their opponents. At even-strength, the Lightning have given up just 567 high-danger scoring chances this season. Only three teams in the East have given up fewer quality chances while playing 5-on-5 hockey. To go along with that, Tampa Bay creates a high-number of those chances for themselves. Only three teams in the East have created more quality chances than the Lightning as well. Overall their high-danger-scoring-chances-for-% is 52.3, a number that is good for sixth in the entire NHL and third in the Eastern Conference. Like I mentioned above, the possession numbers tell a similar story. Their CorsiFor% at even strength is only bested by two teams in the East, the Montreal Canadiens and the Carolina Hurricanes. Those teams have other issues to worry about while the Lightning are playing excellent two-way hockey. Only two teams currently sitting in the playoff picture of the Eastern conference allow fewer Corsi-events-per-60 than Tampa Bay and that is Detroit and Florida. Last season Tampa Bay was known for their offense. While that has dialed back a bit this season, their defensive play has picked up the slack and then some. What do you need on your team to compete for a Stanley Cup? It is certainly debatable, but most people agree that you need two or three big things. Center depth, blue-line depth and potentially game-stealing goaltending. The Lightning appear to possess all three. While nobody on Tampa Bay is breaking any scoring records this season, they have gotten their scoring throughout their entire lineup. The center depth they have is palpable, so much so that Stamkos is rarely playing down the middle this season. Alex Killorn, Tyler Johnson, Valtteri Filppula and Brian Boyle is excellent depth down the middle and that isn’t even mentioning other quality players who have spent time at center this season. The depth on the blue-line is where Tampa Bay really shines this season. The Lightning are good at spreading around the minutes which should help with the physicality that comes with playing in the postseason. All seven of their defensemen who have played at least 46 games this season have averaged between 12 and 17 minutes of ice-time at even-strength. Matt Carle has been the worst of them in terms of possession numbers (46.6 CorsiFor%) but he also eats a lot of defensive-zone starts (third-highest rate of defensive zone starts on the team). The pairing of Victor Hedman and Anton Stralman is an absolute game-changer. According to the great people of puckalytics.com, that pairing has spent 727 minutes together at even-strength this season. They have posted an incredible 56.8 CorsiFor% while on the ice together. Without each other, Hedman has a CorsiFor% of 55.9 and Stralman has a CorsiFor% of 51.3. The Lightning have scored twice as many goals as they’ve given up when those two are on the ice together at even-strength. That pairing can change a playoff series. 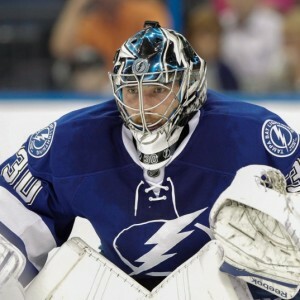 Speaking of people that can change a playoff series, Ben Bishop looks up to that task come playoff time. Only eight goalies in the NHL have made more saves from high-danger shots than Bishop has. One thing that can change a playoff game (in a bad way) is giving up the soft goal. Bishop has the fourth-highest save-percentage in “close-game” situations when facing low-danger shots. A close-game situation is when the score is within one goal in the first and second period or tied in the third. Bishop logs a ton of minutes and he looks primed and ready to take on a deep playoff run once again. Are the Tampa Bay Lightning Missing Anything? The one weakness of the Lightning this season has been the power play. They have scored just 37 goals on the man-advantage this season, just six more than the Toronto Maple Leafs who have the fewest power play goals in the NHL. Tampa Bay has also given up six goals on their own power plays, only two teams in the NHL have given up more. While their power play wasn’t exactly off-the-charts last season either, it was humming along at a better rate than it is this season. Luckily for the Lightning, power play success is probably one of their only weaknesses heading into the playoffs. While players like Johnson and Killorn may not be racking up the point totals they were last season, the Tampa Bay Lightning are still a huge contender in the Eastern Conference. It didn’t look like it at the start of the season as they struggled mightily out of the gate, but they have rediscovered last year’s form at the perfect time. 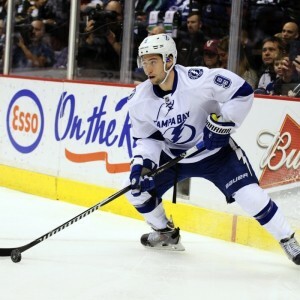 Look for the Lightning to be one of the favorites to come out of the Eastern Conference once again.